Are you an employer who has an employee with a drinking or drug problem? Thinking of terminating them? Wondering how to handle the situation? Do not make a hasty decision without first consulting an employment lawyer otherwise you may find yourself in a situation similar to the employer in the recent 2015 case of FacilicorpNB and CUPE Local 1252 (R. (J. )), Re, 2015 CarswellNB 381 (N.B. P.S.L.R.B.). In that case, the adjudicator reinstated an alcoholic employee who was dismissed after he was found to be under the influence of alcohol while at work. 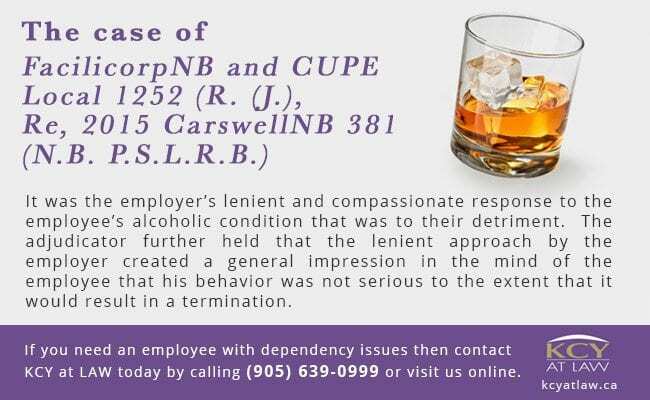 The employee had previously been warned and disciplined by the employer due to alcohol consumption, albeit in a compassionate and lackadaisical manner. The adjudicator held that the employee, being an alcoholic, suffered from a disability pursuant to the applicable human rights legislation. Ultimately, it was the employer’s lenient and compassionate response to the employee’s alcoholic condition that was to their detriment. The adjudicator further held that the lenient approach by the employer created a general impression in the mind of the employee that his behavior was not serious to the extent that it would result in a termination. Furthermore, there was no aggressive behavior by the employee and that the employer had not yet suffered “undue hardship” in accommodating the employee’s disability. Ultimately, the adjudicator set aside the dismissal and imposed a thirty (30) day suspension followed by a leave of absence without pay during which the employee could attend a rehabilitation program. Provided the employee completed the program within the prescribed period, he could remain employed. 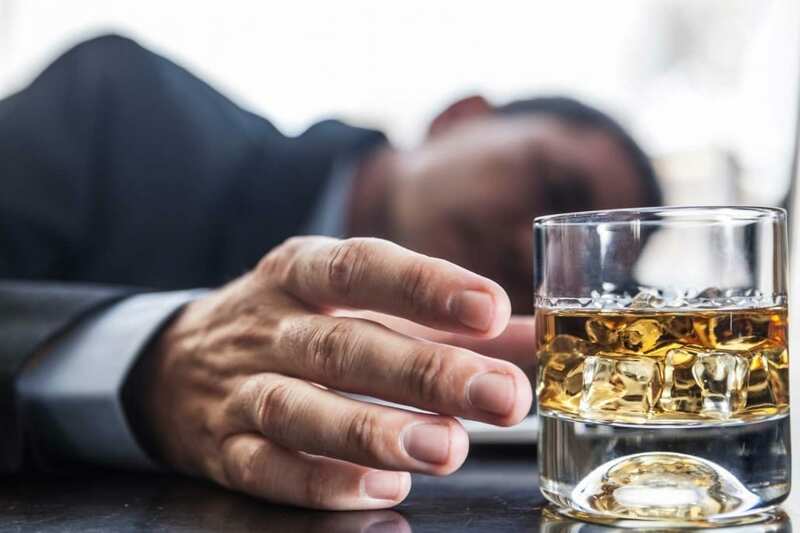 This case serves as a lesson for all employers who are too hasty in their decision-making when it comes to employees who you may suspect have drinking or drug-related problems. The most logical decision may not always be in the best interests of the company from a legal perspective. Contact KCY at LAW right away to get the advice and expertise you need in difficult employment law situations. Proposed Ontario Legislation Expanding Employer Duty to Prevent Sexual Hara... The Deductible Applied To Your Automobile Injury Claim!